Fort Knox Protector Vaults - Always On Sale at Dean Safe! 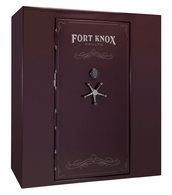 Fort Knox Protector Vaults — Gorgeously Finished, at a Great Price! 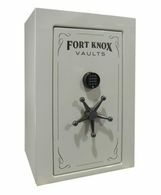 The Fort Knox Protector Series Vaults helps keep you from becoming an FBI statistic. Statistics show that one in four homes will be burglarized in the next five years. Give your valuables the same Protectorary protection as our heavier vaults while living within your budget. 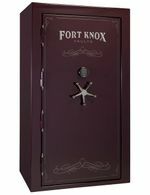 The Fort Knox Protector Vault offers many of their exclusive security features without sacrificing quality. Protector 7261 Vaults 72.5" 51" 27" 29" 69 cu. ft. 1,804 lbs. 13 - 1-1/2"
Protector 7251 Vaults 72.5" 51" 27" 29" 57 cu. ft. 1,642 lbs. 13 - 1-1/2"
Protector 7241 Vaults 72.5" 41" 27" 29" 45 cu. ft. 1,490 lbs. 13 - 1-1/2"
Protector 6637 Vaults 66.5" 37" 27" 29" 36 cu. ft. 1,236 lbs. 11 - 1-1/2"
Protector 6031 Vaults 60.5" 31" 25" 27" 25 cu. ft. 975 lbs. 11 - 1-1/2"
Protector 6026 Vaults 60.5" 26" 20" 20" 16 cu. ft. 782 lbs. 11 - 1-1/2"
Protector 4026 Vaults 40" 26" 20" 20" 10 cu. ft. 509 lbs. 11 - 1-1/2"
If you wish an estimate on curbside delivery, please call us at (800) 827-7534 or email us with the model number and your zip code. Please indicate whether the dropoff is a business or a residence and whether you have a fork lift or dock at the delivery location. Liftgate service is available. If you live in the Southern California area, we can deliver to your home or garage. Call (800) 827-7534 for a delivery quote.